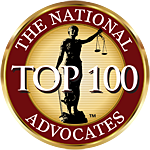 This Personal Injury Law article was authored by Daniel Baldyga. 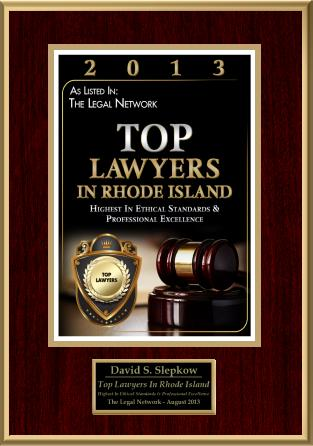 This article was approved by RI Personal Injury Lawyer, David Slepkow 401-437-1100. The best judge of Total Disability and/or Partial Disability is “Ole” Doc Comfort your attending physician. The Medical Report he executes for the insurance company you’re battling with, Rock Solid Insurance Corporation, should always contain his comments regarding the nature of your disability. His diagnosis will be crucial to I. M. Smart, the adjuster assigned to handle your claim, because it will detail the duration of your “Pain and Suffering”. In addition it will also prove the time you lost from work as being legitimate. When settlement time arrives, Smart will form a healthy portion of his evaluation based on the documented proof of the length of time of each of the following two elements: “Total” and “Partial” disability – – the both of which will indicate how much they restricted your inability to work and also your social activities. Payments” coverage) plus you may also be able to collect from your own health insurance policy or plan. Yes, Rock Solid Insurance, in a clear case of liability (and as part of its settlement with you) will pay your medical bills. BUT HOW ABOUT YOUR OWN MOTOR VEHICLE POLICY’S MEDICAL PAYMENTS COVERAGE? You must read your motor vehicle accident policy carefully. It may provide you with coverage up to certain limits (one or two thousand dollars – – some a lot higher) for all the medical bills you had as a result of the accident – – regardless of who was at fault! “Med Pay” is a separate part of your policy, which you pay extra for, but it’s definitely worth it. Since you’re shelling out money for this extra coverage you should consider taking advantage of what it offers. The following people are usually covered under the Med-Pay provisions: You or any relative who lives with you (when driving or riding in your vehicle) plus anybody else who is driving with your permission (and also their invited “guests”) who happen to be riding along with them in your car. It may state in your policy that your insurance company has a right to recover the amount of the Medical Payments made to you should you (later-on-down-that-often-very-loooong-rocky-road) get paid for your loss by Rock Solid. But, even if you don’t, you’ll still be paid for your medical bills under the Medical Payments (Med-Pay) Coverage of your motor vehicle insurance policy without having to pay your insurance company back. It’s usually a practical move, to elect to file a claim with your own auto insurance company (under the Med-Pay Coverage) so you can be confident all your medical bills are paid in time. Otherwise, your medical providers may get upset because they’ll have to wait far too long to be paid (somewhere down the line – – perhaps a year – – sometimes much longer) until you finally settle for your loss with The Rock Solid Insurance Corporation. YOUR OWN HEALTH INSURANCE POLICY/PLAN: There’s another possible medical bill coverage for your accident – – and that’s your Health Insurance policy or whatever Health Plan you may be under. If the Med-Pay provisions of your motor vehicle policy state that they must be paid back, should you collect from Rock Solid, you may find it more advantageous to file a claim under your Health Insurance policy or some other Health Plan. HOWEVER: You should check the wording in those policies very closely because they may NOT require you to pay them back for the medical payments they’ve made on your behalf – – even if you collect for your loss from The Rock Solid Insurance Corporation ! There’s nothing wrong or immoral about collecting money from more than one source for the same medical bills. Think of it like a Life Insurance Policy. If an individual is paying premiums for three $10.000 Life Insurance Policies and they pass away, is the love-of-their-life (as the named beneficiary) entitled to $10,000 or $30,000? Indeed, because the premiums were paid on all three, that individual is entitled to a payment of $10,000 times three, or $30,000. By the way, if Adjuster Smart happens to ask you if you have any such options, don’t tell him. Whatever other insurance coverage’s you have is your own business! It has absolutely nothing to do with the value of your claim, how much money you should be paid for your “Pain and Suffering”, nor any other portion of your loss. NEVER FORGET: You’ve already paid for these types of coverage and you’re entitled to be paid under all your options for reimbursements – – even if that means you’re paid by multiple sources for the same bills ! DISCLAIMER: The only purpose of this article ~ YOUR PERSONAL INJURY INSURANCE CLAIM ~ SEVERAL CRUCIAL SOME “INSIGHTS” INTO MEDICAL REIMBURSEMENTS is to help people understand the motor vehicle accident claim process. Dan Baldyga makes no guarantee of any kind whatsoever; NOR does he purport to engage in rendering any professional or legal service; NOR to substitute for a lawyer, an insurance adjuster, or claims consultant, or the like. Wherever such professional help is desired it is THE INDIVIDUALS RESPONSIBILITY to obtain said services. Dan Baldyga spent over 3 decades within the area of Insurance Claims, as an Adjuster, Supervisor, and then Manager. He was then promoted to Trial Assistant where he worked another 5 years on thousands of Insurance Claim cases. He has had 3 “How To” Insurance Claim books published, the latest being AUTO ACCIDENT PERSONAL INJURY INSURANCE CLAIM. (How To Evaluate And Settle Your LOss). (EZINE ARTICLES = If you want one of these MUCH LONGER with much more depth please advise and I’ll send it to you. Thanks. 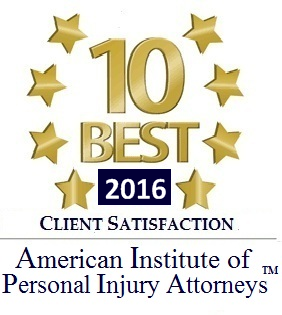 Dan Baldyga’s third and latest book AUTO ACCIDENT PERSONAL INJURY INSURANCE CLAIM (How To Evaluate And Settle Your Loss) can be found on the internet at http://www.autoaccidentclaims.com or http://www.caraccidentclaims.com. This book explains, in simple language, “How To” handle your motor vehicle property damage and/or personal injury claim so you won’t be taken advantage of. It also contains BASE (The Baldyga Auto Accident Settlement Evaluation Formula). THE BASE FORMULA will explain how to determine the value of the “Pain and Suffering” you endured – – because of your motor vehicle accident injury!